Here is a great opportunity to learn how to protect your livestock from Mountain Lions! 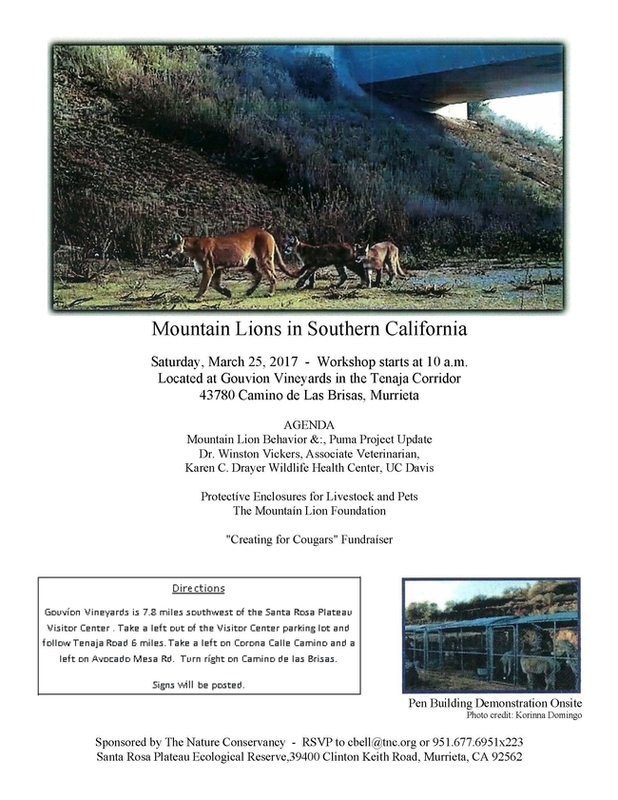 The Cooperative Extension South Coast Research and Extension Center, the Nature Conservancy, and the Mountain Lion Foundation have specifically requested that 4-H youth get involved in this event. They have worked effectively with 4-H across the west, and have found us to be a wealth of information about how to best protect livestock from lions. Go 4-Her's!